Go HERE for more photos from Filip Milenkovic and tag yourself and your friends! Let's get one thing straight right away: don't think, for even a moment, that we're knocking the traditional pool party. We'd never do that. We are well on record with loving pool parties. It's just that, sometimes the same old same old can feel, well, old. 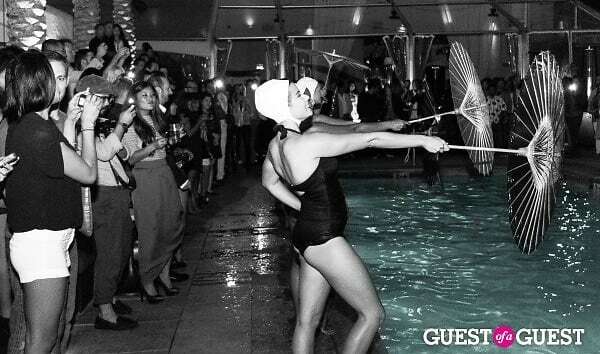 So we were head over heels for last week's American Boardwalk Moonlight Swim, which brought a downright vintage vibe to Drai's with singers, old school style, and, of course, water ballet.